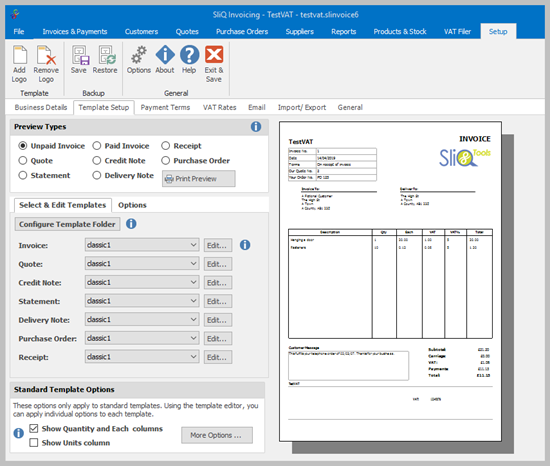 SliQTools develop and sell an invoicing software package called SliQ Invoicing. SliQ Invoicing can be used for creating/ raising and tracking professional invoices, credit notes, purchase orders, delivery notes, quotes and customer statements, helping you get paid accurately and on time. SliQ is very easy to learn. 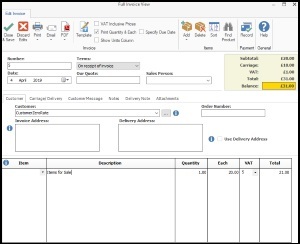 No special accounting knowledge is needed and you will be able to produce your first invoice or quote in minutes. 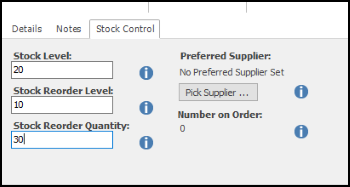 SliQ Invoicing even includes stock control features to help you track inventory. 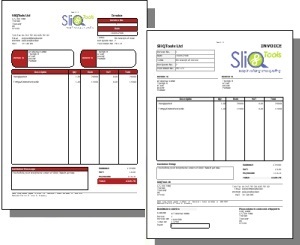 Whether you produce a handful or a hundred invoices per month, SliQ Invoicing and Quoting can help you. For example, if you are a decorator, builder, electrician or plumber needing to write quotes or estimates our small business software can help you produce professional results in a short time without needing to buy expensive, complicated software full of features you don't need. Choose one of the invoice templates, add your logo and begin raising invoices. 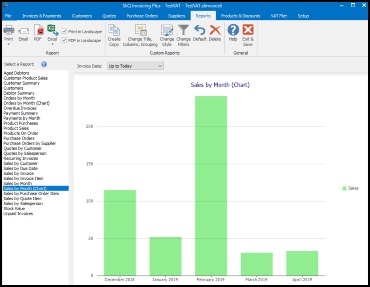 Choose from multiple invoice templates. 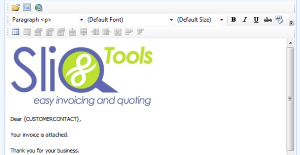 An easy to use template editor is provided for you to customise the content and layout of your template as desired. After evaluating 20 or more products (pc and cloud based), there is little that is as simple, but feature rich as SLIQ. I needed an invoicing solution that was easy to use and that offered a variety of ways to invoice customers.